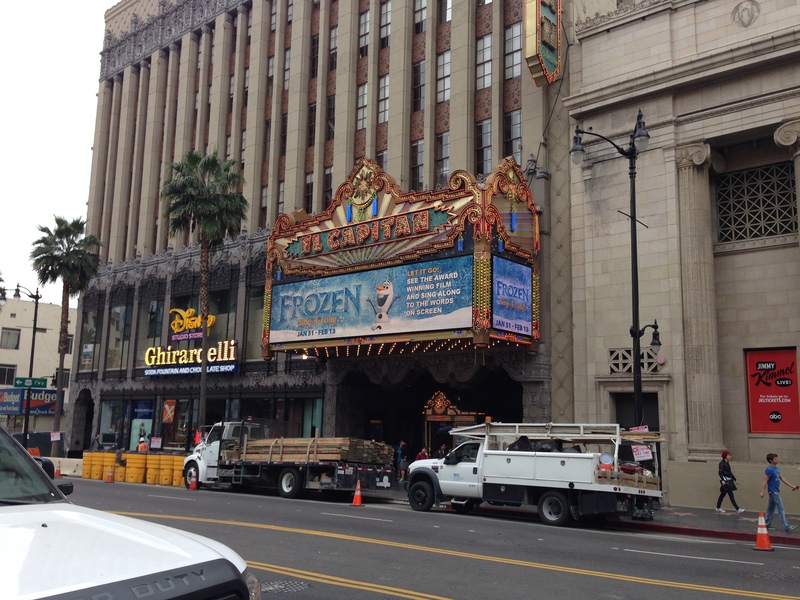 How Frozen Warmed My Heart – Frozen Sing-A-Long at the El Capitan Jan 31-Feb 13! 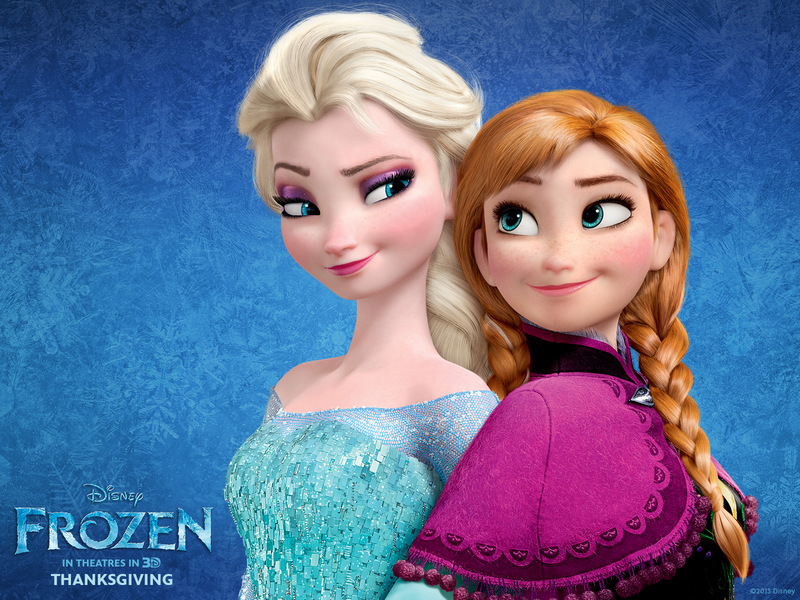 Frozen is one of the best animated – scratch that – one of the best MOVIES out in theaters in a long time. An engaging story with lively characters, great music, wonderful songs, and a reindeer – who could ask for more? I haven’t seen a Disney animated film this well put together for a long time. It’s like watching a movie filled with awesome special effects, combined with a cute story, and songs that come straight from Broadway. The musical team of Kristen Anderson-Lopez and Robert Lopez did an amazing job on the songs. Anyone who could put “gassy” and “somewhere in that zone” into a number and pull it off has my vote for Best Song. I hear kids singing them randomly in stores and malls, a huge testament to their popularity. In a way it was surprising that Disney went with this songwriting team, especially since Robert is best known for his award-winning work on Avenue Q and The Book of Mormon, both of which are edgy as well as being contemporary. However, this is the same guy who worked on The Wonder Pets television show and Winnie the Pooh with his talented wife. So writing for an animated feature directed at kids and families was “in their zone.” No wonder the songs have the rhythm and feel of the best of Broadway musicals – they’re written by talented, award-winning musical writers. The story was also a huge departure from previous Disney animated features. One thing I’ve always appreciated about Disney is that their female characters often break stereotypes. They’ve gone from being damsels in distress like Snow White, Cinderella, and Sleeping Beauty to being much more self-reliant like Mulan, Merida, and now Anna and Elsa (and for being an isolated child in a tower, Rapunzel pretty much holds her own, too). But what I loved about this story was the love between two sisters and how that family bond transcended everything else. While there was a romantic component, it was done in a completely different way and the focus of the film was about this closeness between the two siblings. The selfless act of love for her sister is the act of “true love” that ultimately saves Anna. To me, that was a brilliant and unexpected plot twist that seemed so right. 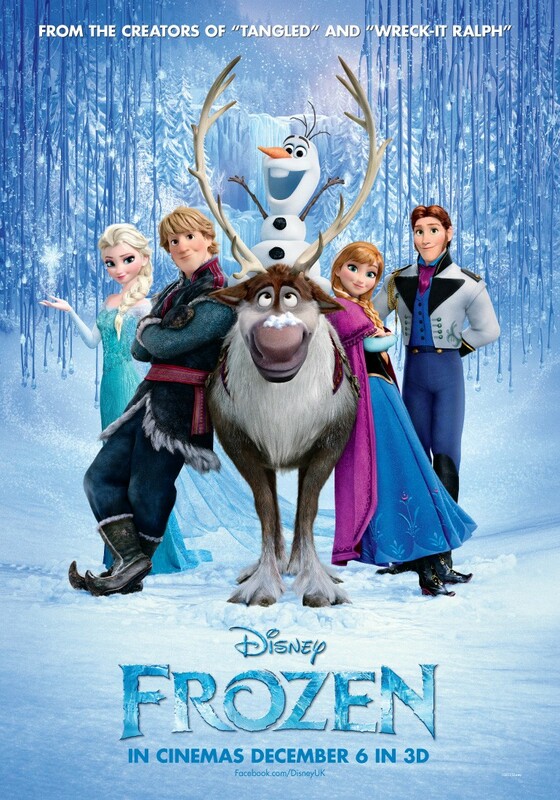 Already garnering wide-spread critical acclaim as well as recognition for the quality film that it is, Frozen has won the Golden Globe award for Best Animated Feature and nominated for Best Original Song and is again nominated for the Academy Award in both categories. And now, you can come to the theater and sing along to your favorite tunes from this hit movie at the El Capitan theater. Tickets are already on sale for the special engagement at this prestigious venue where you will get a chance to see Elsa live onstage prior to the film. Those purchasing VIP tickets ($22 + $2 service fee online) will also receive complimentary popcorn and a drink to go with their selected seats in prime locations in the theater. General admission tickets for the four shows a day are $13 for adults and $11 for children and seniors. 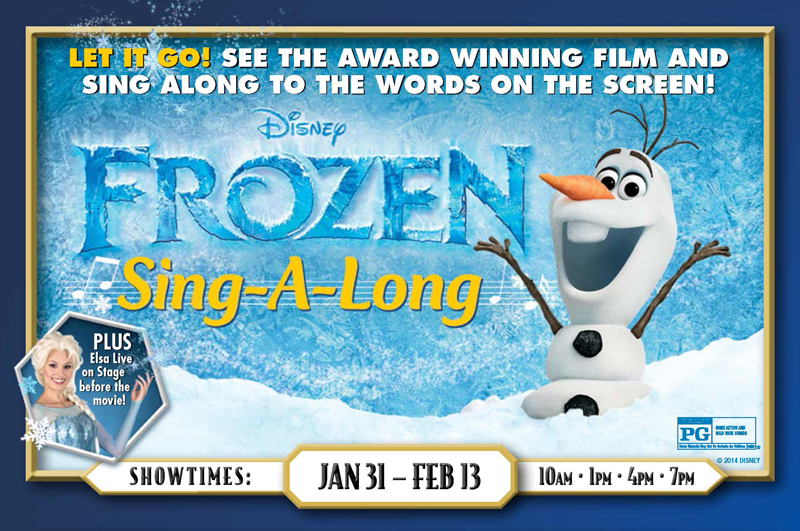 The Frozen Sing-A-Long will also open nationwide in 1,000 select theaters according to USA Today. But for a grand unique experience you need to come to the El Capitan! Hope to see you there! If you’re curious about what a sing-a-long is like read about it on my blog post here!